The first ever quinoa developed for the sushi industry. We believe that everyone should have access to good food that supports a healthy lifestyle, so we’ve made it our mission to develop innovative products that truly redefine traditional food categories to offer high quality, nutritious food that tastes delicious. To do this, we follow three simple principles. Healthy food for a healthy lifestyle. Living a healthy lifestyle is at the heart of our business. It’s the big idea behind our food creations. We want everyone to live a healthy lifestyle, so we strive to produce nutritious food options that support it. Nutritional and ingredient information will always be proudly displayed on our packages. Good food makes a difference. We believe that good food can make a difference in a life — you feel better and happier when savouring great-tasting food that you enjoy, especially when it is healthy for you. Great-taste is always on our mind when creating our food for people to enjoy. We feel that we have a big responsibility since our food directly impacts your health and life. As we aim to make a positive impact on your life through our food, we promise to be honest and open about our product’s ingredients and production. We want you to feel confident and feel good when consuming our food. Living a healthy lifestyle is at the heart of our company — it drives us to create our original product line: Quinoa Quickies! We love and chose quinoa as the main ingredient for its rich nutritional qualities, nutty flavour and rice-like texture. We carefully source all our other ingredients based on their flavours and quality. In support of an active lifestyle, we’ve designed Quinoa Quickies to be quick and easy to prepare. A modern touch on a traditional way of life. 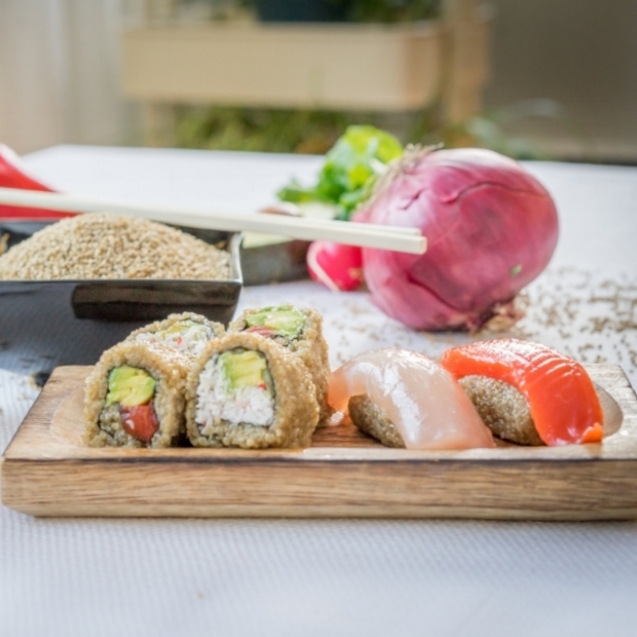 Sushi Quinoa is the first ever quinoa developed for the sushi industry. Sushi Quinoa cooks exactly the same as rice but is much stickier than other quinoas, perfect for the outside of a maki roll or as a replacement for sticky rice. Made from Canadian Golden Quinoa, this sticky superfood is packed full of protein and nutrition to deliver a healthier alternative for food service and retail clients. Where can I buy Sushi Quinoa? Sushi Quinoa is available in some of the best sushi restaurants in North America. Ask your favourite restaurant if they carry it. 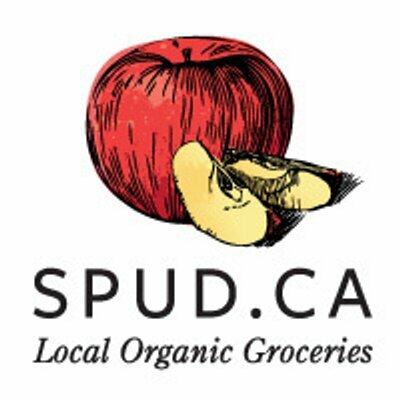 T&T, Planet Organic, IGA (BC), HMart and many more. Watch Chef Tojo explain why he loves Sushi Quinoa! 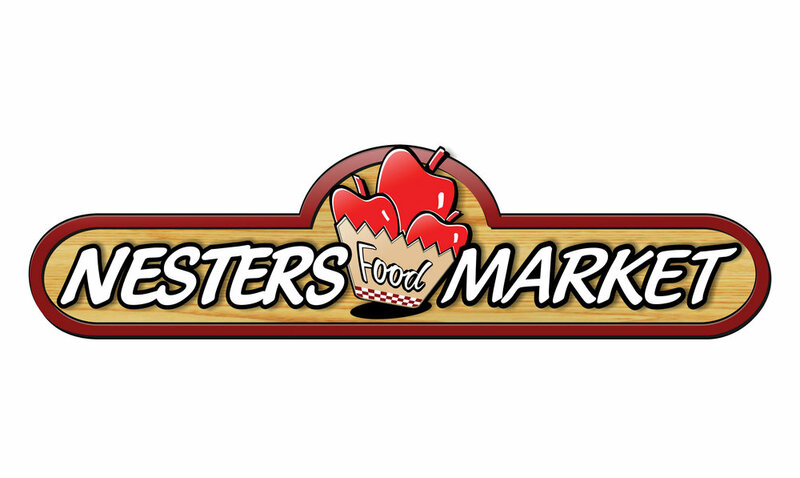 For information regarding distribution and sales please email sales@toptierfoods.com or call (778) 628-0015. 201 – 3737 Oak St.